These cases may involve a catastrophic injury involving the police, mass transit or other government-related agency. If you or a loved one was badly hurt or killed in an incident involving a violation of your civil rights matter, you should contact contact a civil rights attorney today. Kline & Specter only handles civil rights cases involving serious bodily injury or death. With more than 40 experienced attorneys, several of them former prosecutors, the law firm has obtained not only redress for its clients in civil rights cases but also important societal changes to protect the safety of citizens. But Specter did not stop there. In researching the case, he discovered many smaller settlements paid by the city to victims of similar accidents. He also found that over roughly a four-year period city police vehicles had been involved in 3,800 collisions, most of them avoidable. Specter's persistence in negotiations with the Philadelphia Police Department resulted in a series of reforms to improve police driver training, deter reckless driving and heighten safety. In ongoing litigation, Kline is suing the School District of Philadelphia for negligence in the abduction and sexual abuse of a five-year-old girl who was kidnapped from her elementary school and repeatedly assaulted. A woman accused in the case was convicted on six criminal charges, including kidnapping. In another current case, the law firm is suing two Philadelphia police officers who shot an unarmed pizza delivery man. The victim was shot as he tried to leave the scene in his car because he mistook the plainclothes officers as robbers. He suffered gunshot wounds to his face and leg. 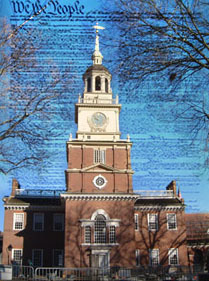 The firm handles cases in Pennsylvania, New Jersey and Delaware. For cases outside those states, Kline & Specter works with local attorneys in each state as applicable.